Welcome to the first public showing of Summer Independent Film Series from the Grand Rapids Area Library. Enjoy the films on a big screen in air-conditioned comfort. Once the film is shown it will be available at the library for checkout. French Army Captain Antares Bonassieu and his squad are assigned to monitor a remote valley of Wakhan, Afghanistan on the border of Pakistan. Negotiating control of the region between local shepherds and possible Taliban sympathizers grows more and more tenuous for them as men from all sides start mysteriously disappearing. 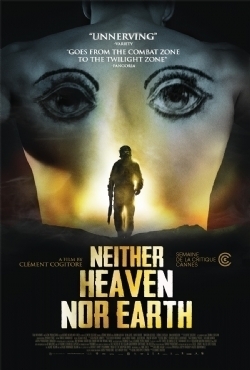 Unable to explain this eerie phenomenon, the soldiers find themselves embroiled in an existential nightmare, desperate for their own safety. This event is free in the Ives Theater. Copyright ©2009 The Myles Reif Performing Arts Center All Rights Reserved.